This is a weird way to start this particular article maybe, but I saw SPY last week, a movie which arrived preceded by a gale force of critical acclaim. I was underwhelmed, and I’ve been trying to figure out why. As the current mass-media story goes, writer-director-producer Paul Feig and his star Melissa McCarthy have been doing more than anybody to change the conventional notions of what women can do onscreen. Why can’t a woman who looks like she should be cast as a pre-school teacher or a romance novelist (I’m not being rude — these are her character’s occupations on Mike & Molly) also play a spy in a James Bond style action thriller, or soon enough, a Ghostbuster? 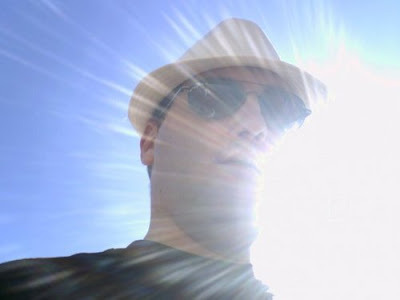 I hope I’m being crystal clear when I proclaim I am all for it, with every last erg of my strength. Women can do everything men can do, and often better and with greater style. And any system that doesn’t presently allow for that must absolutely be changed. I guess it’s just hard for me to get thrilled about Melissa McCarthy falling over or farting just because the comedy guys get to do it, or more importantly, to learn over the course of a movie that she’s too good for jerky guys like Jude Law in SPY, because those are comparatively tame victories, considering how the kinds of movies I watch for this site come with a tidal wave of fierceness. That’s why I was so charged-up about Charlize Theron in MAD MAX: FURY ROAD. It may not be fair to compare a light goofy comedy to a ferocious locomotive of action, but to me that’s the energy we need right now, in comedy as much as in action movies. When the system is so sorely fucked, it’s okay to get angry. Honestly, it seems necessary. All my heroes, male and female alike, are willing to get angry when things are wrong. At the same time, I recognize that maybe my place as a be-penised person is to stand aside and let women handle it their way. I don’t presume to tell anyone how to lead their own revolution. But writing about Pam Grier earlier this week, I was awestruck all over again by how much she accomplished in such a relatively short span of time. 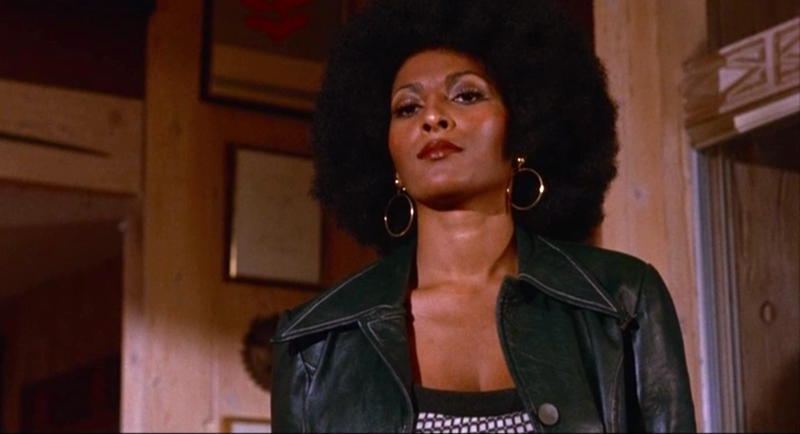 In movies like COFFY and FOXY BROWN, she was a revelation, and a literal revolution. Whatever she represented for women, she represented something important for men also. She wasn’t the endgame for the vicarious thrills of revenge cinema, but the instrument — in other words, admirers like me watch Pam Grier not so much because we want to be with her, but because we want to know her, and we even sort of want to be like her. Jack Hill was the filmmaker who made Pam Grier an action star. After casting her in vivid supporting roles in THE BIG DOLL HOUSE and THE BIG BIRD CAGE, in which she popped off the screen, Hill gave Pam her leading role in COFFY, which changed everything. With the success of COFFY, Hill and Pam re-teamed to make FOXY BROWN, the ultimate Pam Grier movie. Pam moved on from there to work with other directors, while Jack Hill’s immediate follow-up to FOXY BROWN was THE SWINGING CHEERLEADERS, a hit, but not the same thing, having a neat cast but lacking the unstoppable charisma bomb that was Pam Grier. 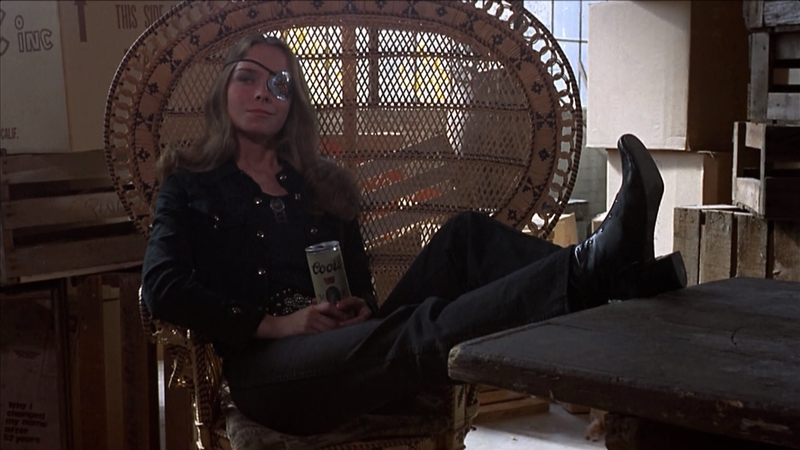 But if my argument is that grindhouse women in the 1970s broke gender barriers by doing away with politeness and male permission, then SWITCHBLADE SISTERS is maybe the purest example available. 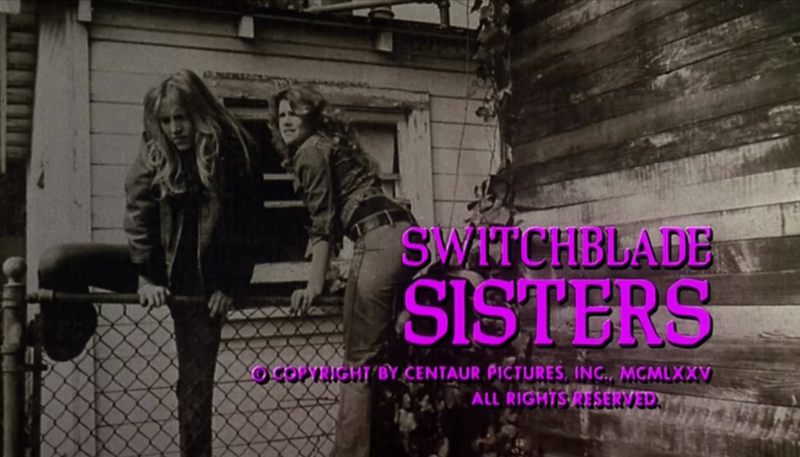 SWITCHBLADE SISTERS tells the story of a female teen gang who run rampant through their neighborhood. These aren’t good girls gone bad, or charming anti-heroes. Their first act in the film is to corner a repo man in a tenement elevator and rob him of the $40 he had just collected from a single mother, but instead of returning the money, they go spend it on junk food. The Dagger Debs aren’t Robin Hoods; they’re sociopaths with training wheels on. At the junk food joint, the Dagger Debs, led by the baby-faced Lace (Robbie Lee), meet up with their brother gang, the Silver Daggers, and start sucking face in horrendous public displays of affection. There’s no romance here. The Silver Daggers mostly look like Cro-Magnons; Lace’s guy Dominic looks for all the world like Unfrozen Caveman Lawyer. While the Debs are scaring off straight-laced customers to take their table, they encounter someone who doesn’t scare so easy — Maggie, played by the stunning Joanne Nail (later to star in THE VISITOR). Maggie may look like a cover girl but she very quickly humiliates one of the Debs, Patch (Monica Gayle), in a lightning-quick physical contest, impressing Lace. Patch will later look for her revenge, but this is when the cops show up, taking in all the Dagger Debs, and Maggie with them. In the big house, Maggie is jumped into the gang after she stands up to three female guards and further impresses Lace. At this point, Maggie is our identification figure, not only since she’s the one who looks like a movie star but because that fact makes her fascinating in contrast — she’s as unpredictable and as violent as any of the other gang members. Which makes it doubly troubling when, released early from jail and asked by Lace to bring Dominic a love note, Maggie approaches Dominic alone and is sexually assaulted by him. In a probably-coincidental gender-flip on a similar scene in HIGH PLAINS DRIFTER, Maggie seems to sort of like it, though she’s sure to tell Dominic after the fact that she hates him. I’m not going to recap the entire movie; just enough to cover the basics. The point is, we can’t latch onto anyone in this movie. We can’t understand these young women; we don’t know where their limitless rage is coming from. We’re given a few indicators in a couple cases (Maggie’s mother has an openly sexual encounter with her landlord), but none that seems to justify the cataclysmically antisocial behavior shared by the many members of the gang. SWITCHBLADE SISTERS presents a tableau of free-roaming gangs running rampant over an impotent adult world. It feels, in that way, like a prelude to THE WARRIORS, although The Warriors are sweethearts compared to the Dagger Debs. Proving that not all the sociopolitical content of Jack Hill’s exploitation films was accidental, the wonderful Marlene Clark appears as a black militant, the leader of a fellow gang who end up joining forces with the Dagger Debs. (And please do look at the still frame below to note her character’s name, because it’s worth it.) This was a tempestuous time in American history, 1975, and a shlocky, sword-rattling movie like SWITCHBLADE SISTERS is as valuable as any of its more respectable contemporaries, such as TAXI DRIVER, because it managed to reflect that energy. Since I wasn’t alive yet, I can’t personally attest to this assertion, but going back to where I began, I do wonder where the angry movies of 2015 are, because we sure as hell need them. Prev THE NEW RELEASE WALL FOR JUNE 16TH, 2015! GET SPIRITED AWAY.